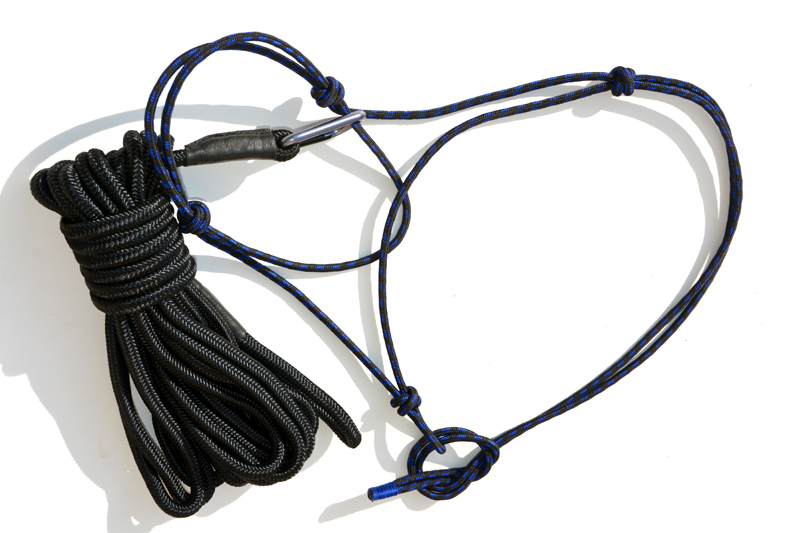 Myself, I lunge my horses with a rope head-collar. It allows keeping their mouth unaltered, which is a priority for me. As I already mentioned, I no longer use any sort of training aids. 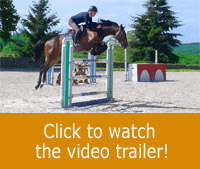 Even if they can be useful to limit the horse’s excessive positions, forcing a horse in a position is in total contradiction to the desired goal i.e. to strengthen the muscle mass from a relaxation state. Keep in mind that any constraint works against the effectiveness of the training and the understanding of correct movements. For that matter, if you get of rid your training aids, the horse will quickly return to the habitual position which you wanted to correct. Little by little the goal is to get rid of any artificial aids in order to rely only on the communication thru the connection. 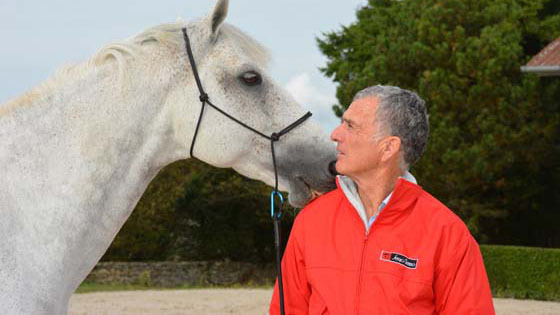 I’ll show you how to frame your horse in the correct position without the use of any training aids, simply by working around the horse understanding and his feeling of comfort. I must add that every horse can be lunged with a rope head-collar, even the hot and difficult ones. 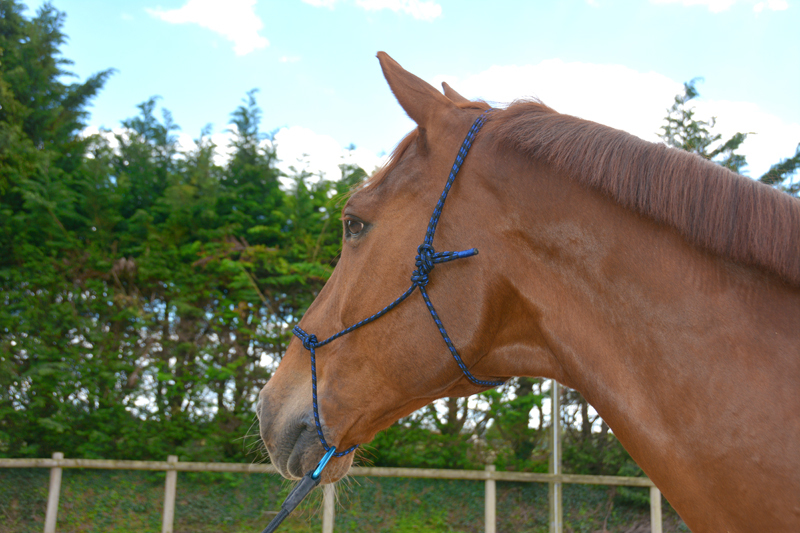 To think that you can control your horse better with a bridle than a head-collar is a mistake. 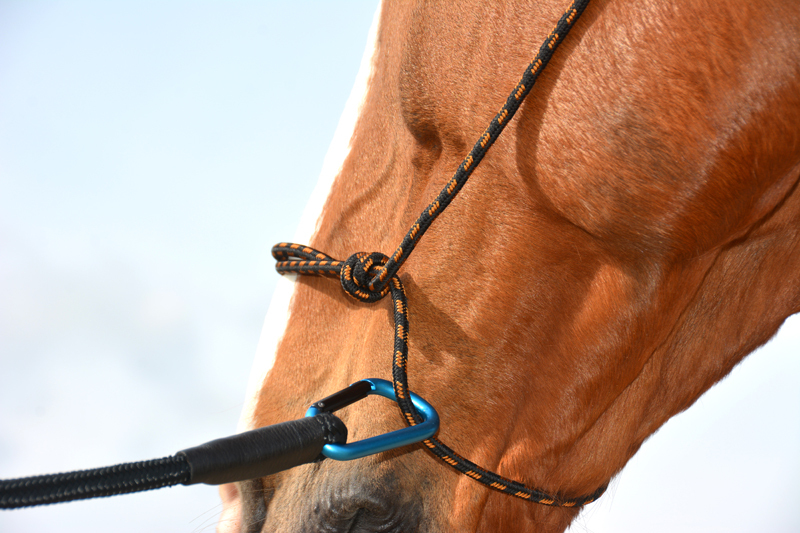 I don’t really see the point to use a bridle when working a horse on the lunge-line, except maybe to educate or re-educate a horse or to make the transition with some under-saddle work…. However, you would need to get the horse to understand the exercise first with a head-collar before hoping to benefit from it. If you really need to lunge your horse with a bridle, use a thick bit with large rings, a check-piece bit or a leather bit with a strap linking both rings. 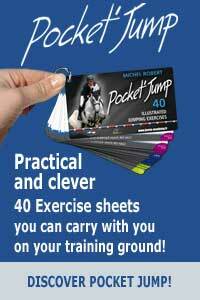 It prevents the bit from getting out of the horse’s mouth when you pull on the lunge line. My advice is to never position the lunge line above the head and snap it on the outside ring of the bit. Doing so will prevent any release of the pressure on the mouth which goes against my principle of a good communication with the horse. In the same vein, do not tight the reins to the saddle or underneath the throat-latch, as it prevents the horse from fully stretching his neck. You’re better off removing the reins. Copyright © 2012 Horse Academy - All rights reserved.